Leeds Rhinos winger and 2015 Lance Todd Trophy winner, Tom Briscoe, was today joined at Wembley Stadium by Lizzie Jones, to make the 2016 Ladbrokes Challenge Cup first round draw. The dressing rooms played host to the illustrious event with Tom picking the home teams, and Lizzie selecting the visitors, as thirty-six sides entered the competition at the first stage. The final will take place back at Wembley Stadium on the 27th August with todays sides drawn from University Rugby League, the community game, the Police and the Armed Forces with all hoping to progress far enough to get to take on the semi-professionals, and then the cream of the game. 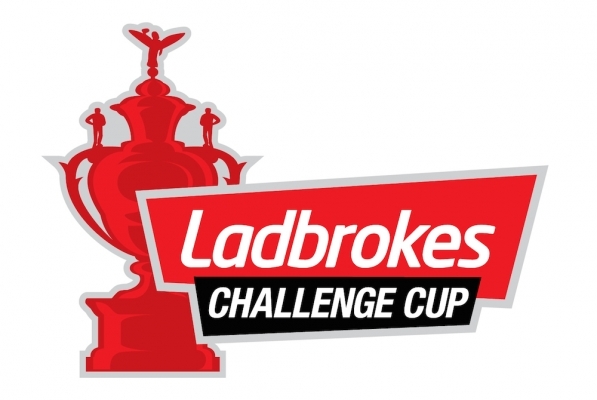 The First Round of the Challenge Cup has taken place at Wembley today, with all three Cumbrian sides being handed home ties. Tom Briscoe, Leeds Rhinos’ five-try hero, and Lizzie Jones conducted the draw. There is some confusion as East Leeds were drawn out twice while Stanningley were not drawn out at all. Except it wasn't a boo-boo by the RFL at all. The draw was done properly, but Dave Woods said "East Leeds" when Stanningley's ball was draw out. That was what caused the confusion. So who exactly are Stanningley playing then? Long live the Fulham-London Crusaders-Broncos Harley-Quids Broncos (again) RLFC!